Posted on : December 23, 2015, By: Tom Kokonowski, Esq. After being convicted of a crime, you may have been put on probation. This is a period of time where you are allowed to live among society, but you have strict rules to follow. These rules can be challenging to keep up with, and many convicts violate their probation unknowingly. If you have violated your probation or think you may have violated your probation, it’s critical that you reach out to a defense attorney as soon as possible to learn more about your legal options. 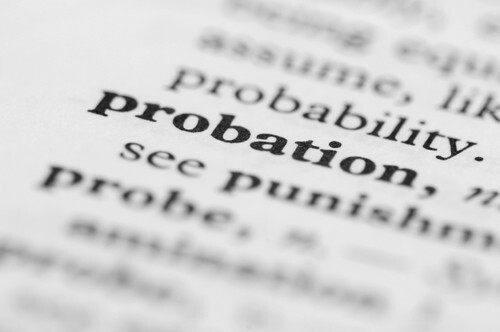 If you are found to have violated your probation, the consequences can be harsh. You may be taken back to jail and/or have your probation extended for a lengthier period of time. You may also face higher fines, or have your probation revoked entirely. Many people who violate their probation aren’t prepared for how serious the impact can be. If you’ve knowingly violated your probation, or think you may have violated your probation but you aren’t sure, don’t hesitate to reach out to an experienced probation violation lawyer. Your lawyer can help you determine if you did, in fact, violate your probation, and if there were any extenuating circumstances that led to you doing so. At the Law Offices of Tom Kokonowski, Esq., we can help you navigate the court system after a violation and will zealously advocate for the least severe penalty possible. Contact us today for a consultation to discuss your unique legal needs by calling 413.585.9200 in Northampton or 413.549.0022 in Amherst.